Currency Note Press Nashik Result 2019: Below are the latest results published by Currency Note Press Nashik - Currency Note Press, Nashik Road / cnpnashik.spmcil.com. The recent result announced by the organization is Supervisor (TO-Printing) and Welfare Officer Marks 2019. 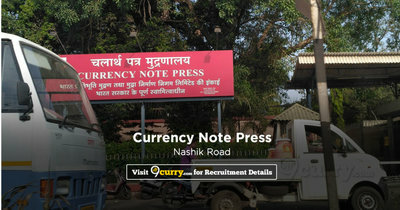 Currency Note Press Nashik Supervisor (TO-Printing) and Welfare Officer Marks 2019: Currency Note Press, Nashik Road has announced the Result on 01 Apr 2019 for the exam . Currency Note Press Nashik Supervisor Merit List 2019: Currency Note Press, Nashik Road has announced the Result on 01 Apr 2019 for the exam .